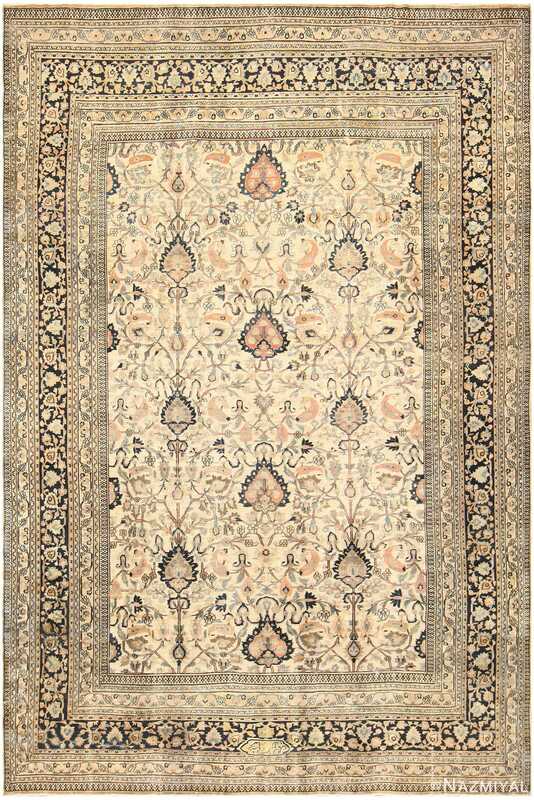 Large Size Antique Persian Khorassan Rug, Country of Origin: Persia, Circa Date: 1910 – A bold pattern accented with stark almost black fills the central field of this antique Persian rug. Red-orange flowers and leaves curl and flare, connected by stems outlined with thin black line-work. 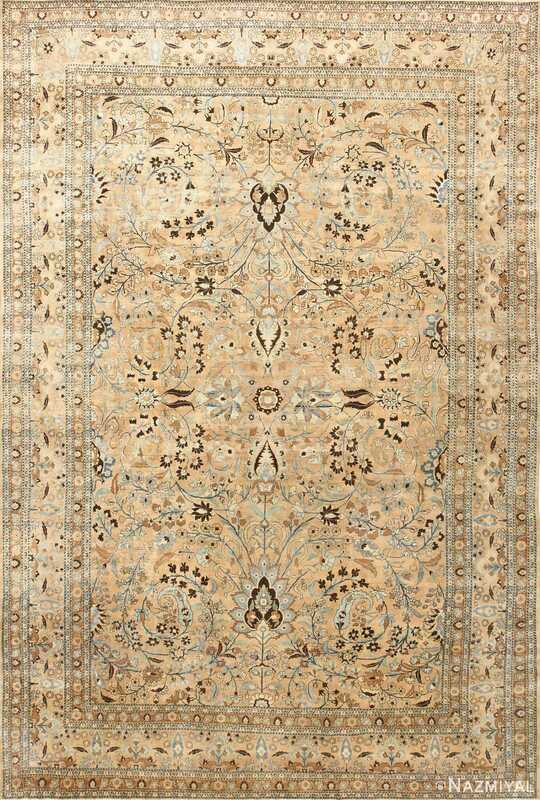 The dark shade in this finely woven antique rug forms numerous accents that draw the eye, edging petals and shaping bulbs. 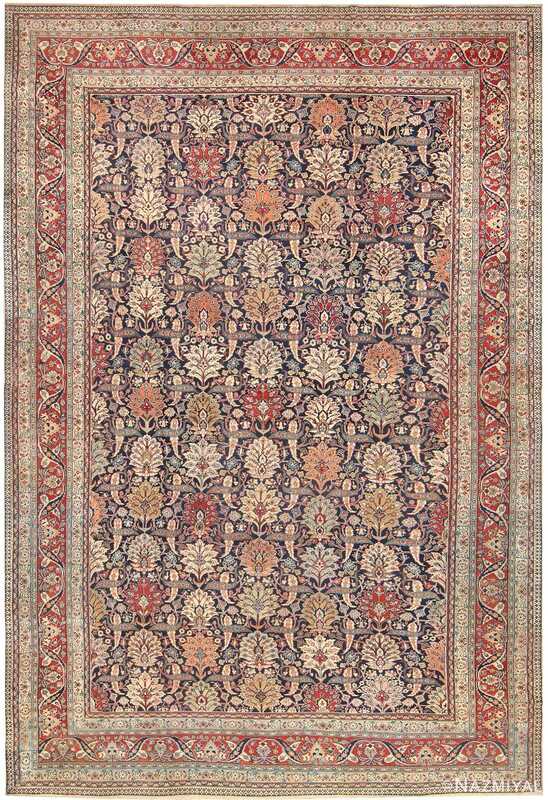 A set of several borders encloses the pattern in the middle, slim bands filled with geometric or floral themes and reflected about the center. The middle border is the widest, formed by a black bar that is crowded with a botanical decoration. 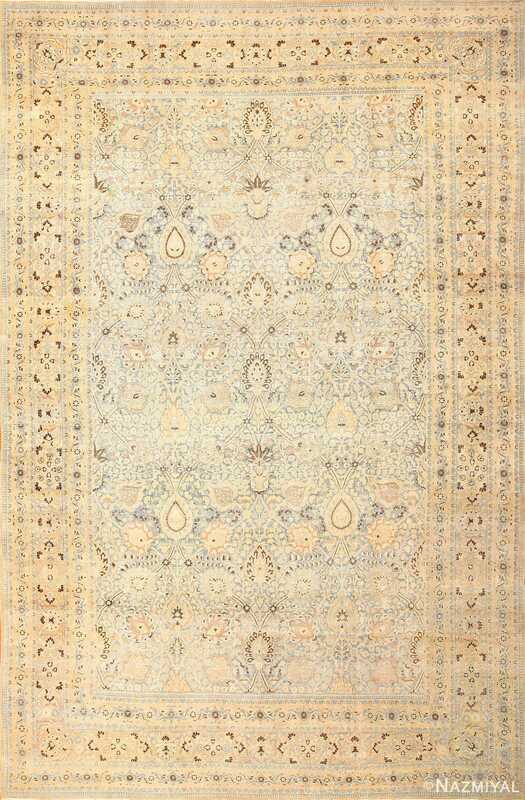 Light hues contrast the dark shade, and each blossom sprouts from a gently winding vine that enwreathes the large antique Persian Khorassan rug.